Two small businesses are damaged and traffic is blocked due to in an early morning fire in northwest DC. WASHINGTON -- Two small businesses are damaged and traffic is blocked due to an early morning fire in northwest D.C. 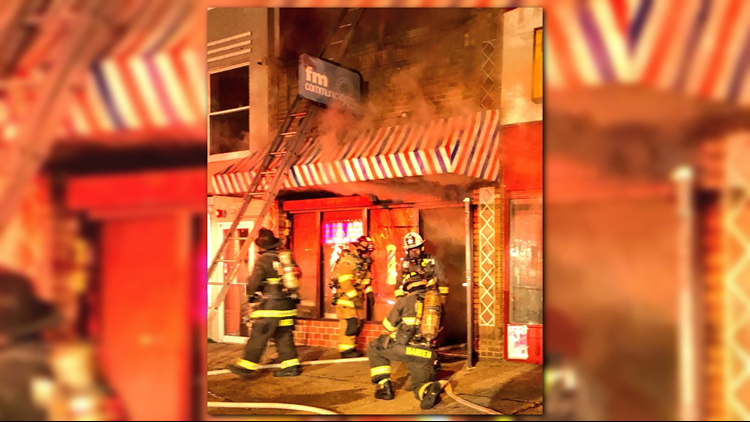 According to Vito Maggiolo, spokesman for D.C. Fire and EMS, the flames appear to have broke out inside a barber shop in the 3900 block of 14th St. around 4:00 a.m. Crews brought the fire under control, but are still dousing hot spots. One other business was damaged by the flames, however no injuries have been reported. Right now 14th Street is blocked in both directions between Taylor and Randolph Streets while crews work on overhaul and clean-up at the scene.